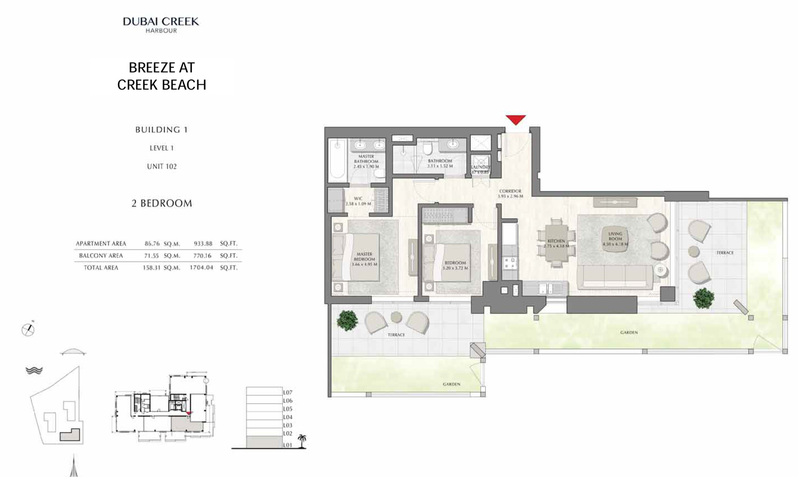 Breeze at Creek Beach developed by Emaar Properties is a new stunning project offering 1, 2, 3 & 4 bedroom apartments and penthouses in the most desirable area of DCH, Dubai. Here you can discover the best of both urban and beach experiences in one of the most sought-after destinations, Dubai Creek Harbour. 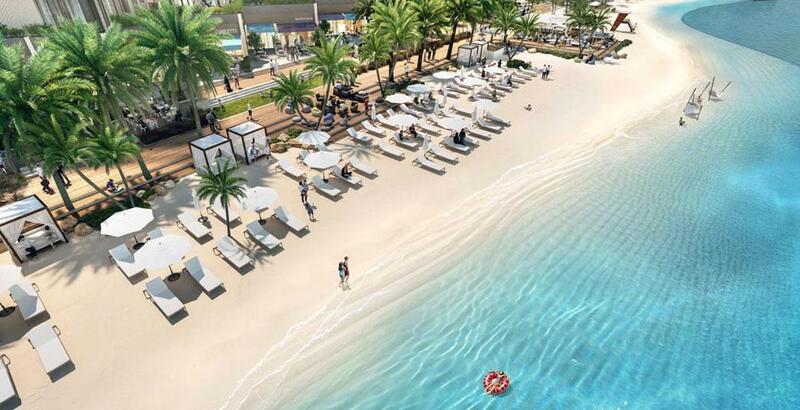 Extending along the sparkling canal that runs between the island and mainland, Creek Beach is conceived to afford residents and visitors to Dubai Creek Harbour, the ultimate family-friendly retreat. 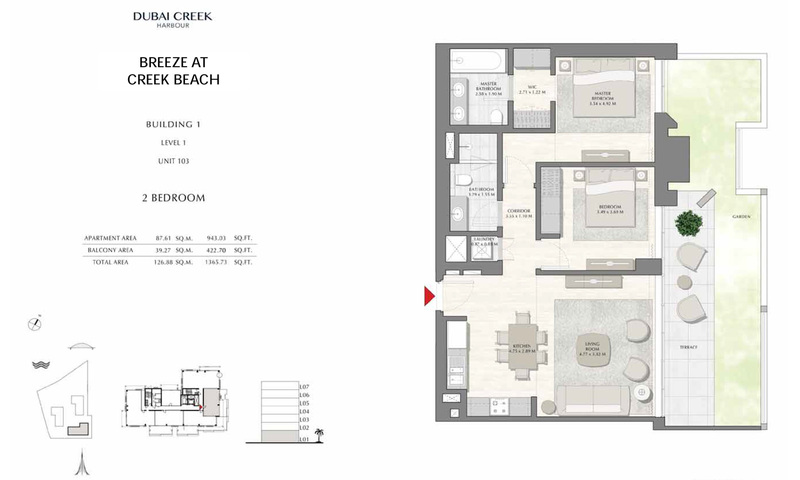 This magnificent project offers convenience, connectivity and all the comforts for modern lifestyles. Dubai Creek Beach is close to the city's most reputed schools and hospitals and is the perfect place to call home. 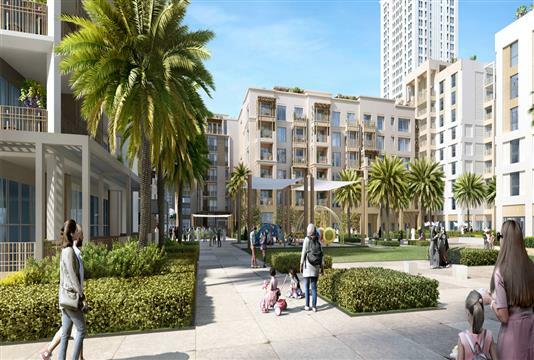 The most prominent and popular residential area in Dubai, Dubai Creek Harbour is well-liked with families, who are on the hunt for a home in quiet residential streets. 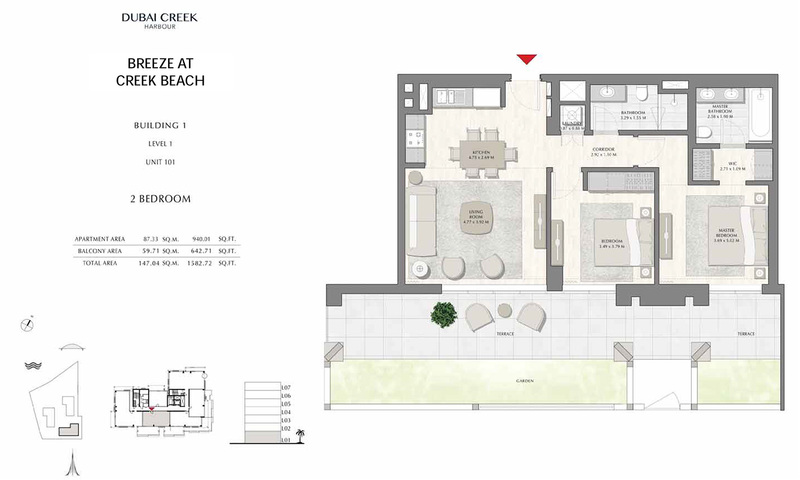 The magnificent Breeze at Dubai Creek Beach by Emaar Properties offering 1, 2, 3 & 4 bedroom apartments and penthouses with a very easy and attractive payment plan. 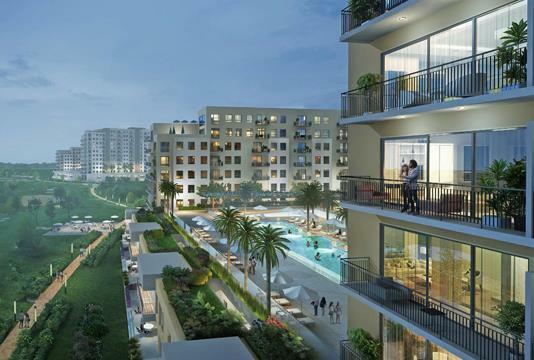 Buyers can book their units by paying 5% down payment only with 2 years post-handover plan. 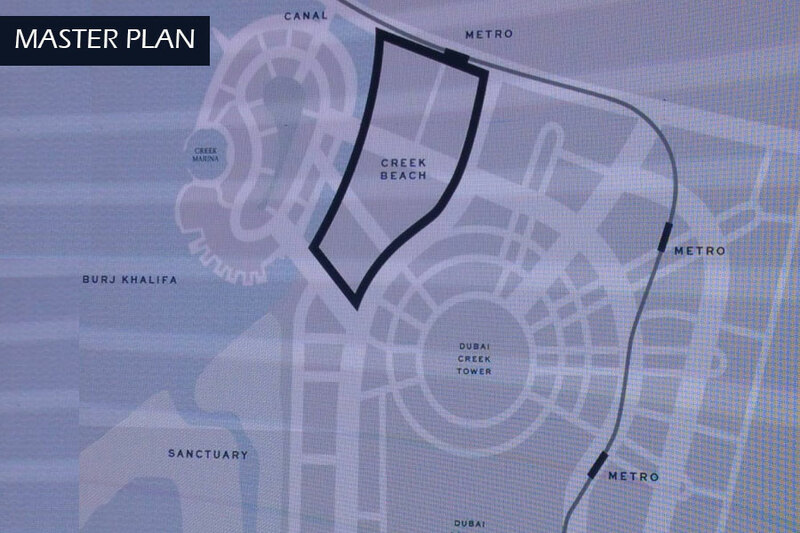 Breeze by Emaar Properties is situated at Creek Beach in Dubai Creek Harbour, it is a strategically crucial place on the land of Dubai. This project has the easy reach of all around the city. 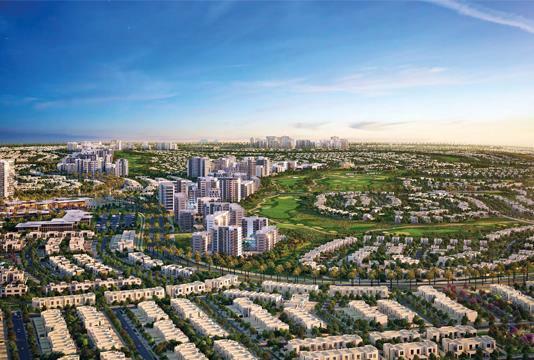 It is counted one of the prime locations of Dubai, due to its close proximity to Al Makdoum International Airport and an easy connectivity to iconic hubs of the city. 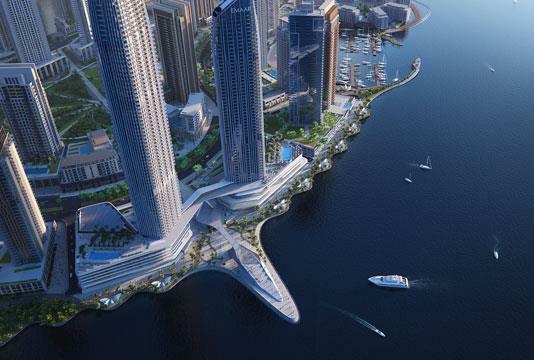 A bold new vision for Dubai, Dubai Creek Harbour is a fusion of creativity and innovation that will define the future-living and further enrich this great city. With magnificent cultural offerings, world-class residences, lavish shopping, amenities, offices and more, Dubai Creek Harbour represents the next frontier in the current life, work and play. A pioneer of integrated living, Dubai Creek Harbour is inspiring the world with the perfect combination of dynamic experiences, innovation and iconic design. It has a bold vision of the future of living for generations to come. 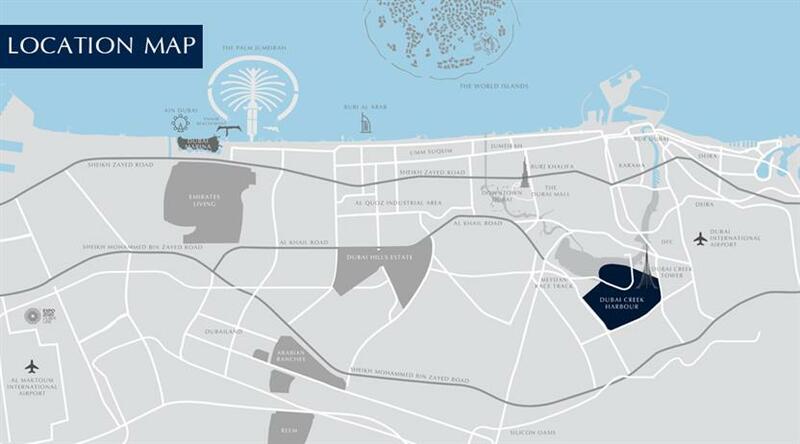 With an iconic waterfront development situated on the banks of the historic Dubai Creek, it is only a 10-minute drive away from downtown Dubai. 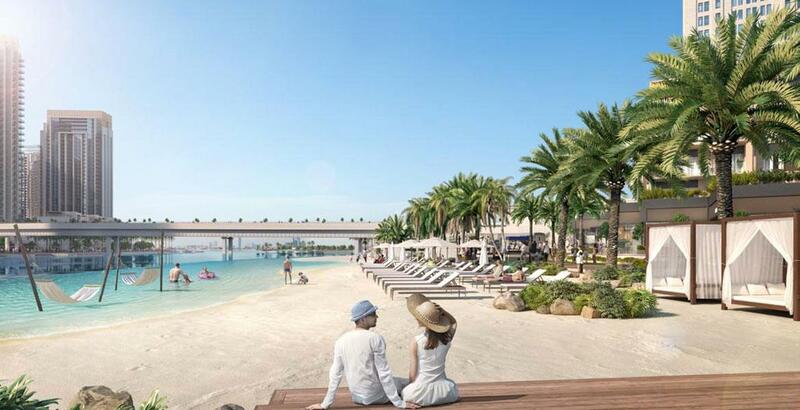 Residents can enjoy their lives, work, play and thrive at Dubai Creek Harbour. 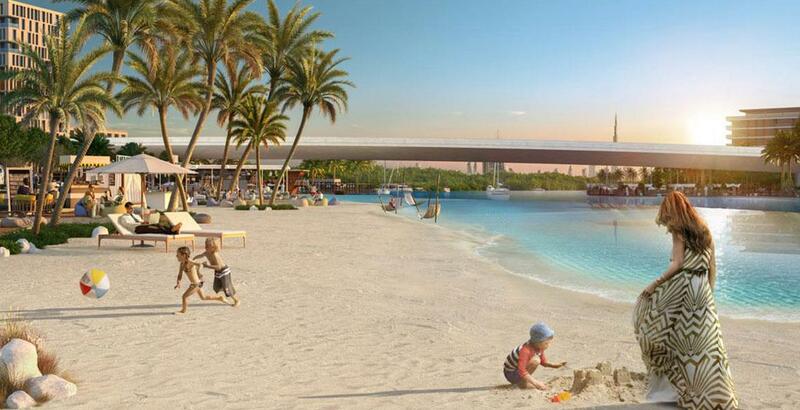 Perfectly positioned at the front of Dubai Creek is Ras Al Khor Wildlife sanctuary, which is the home of thousands of migrating birds and it is one of the few protected urban areas in the world. In truly remarkable surroundings, residents and visitors can enjoy their life in idyllic surroundings close to water and nature.